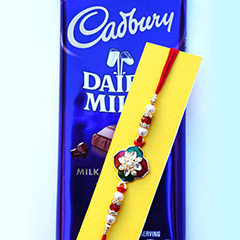 Uniqueness never goes out dated!! 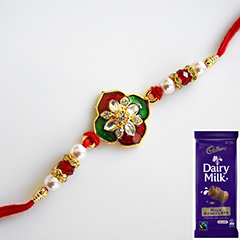 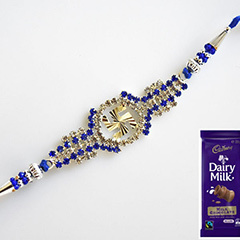 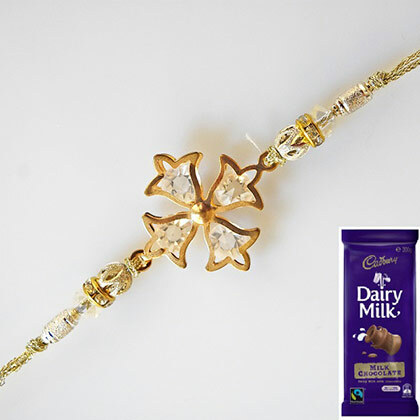 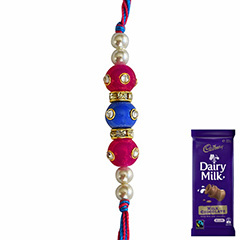 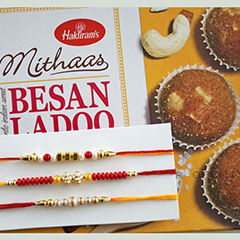 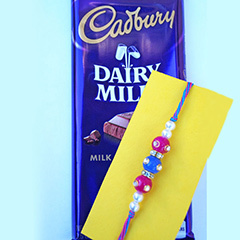 This Rakhi combo consists of one designer and unique Rakhi thread and a chocolate that will not only adorn the wrist of your Australia residing brother, but is also perefct for his taste buds. 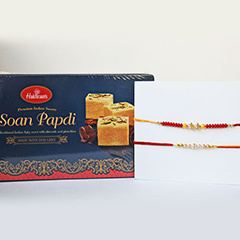 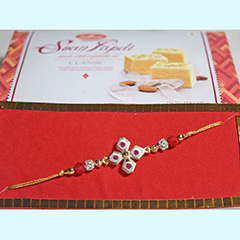 He will surely appreciate the beauty of the Rakhi thread present in this delectable combo.